Its Just 14 Days to 2019 General Elections and photo of President Buhari’s Son, Yusuf, is breaking the internet as has allegedly abandoned his father to join Atiku/Obi campaign train. 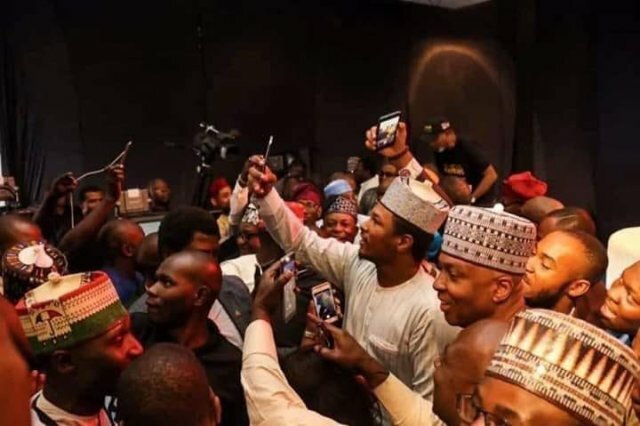 It is not clear when the picture was taken and weather the story is true but he is seen here in selfie with President of the Nigerian Senate, Dr. Bukola Saraki and other youths. 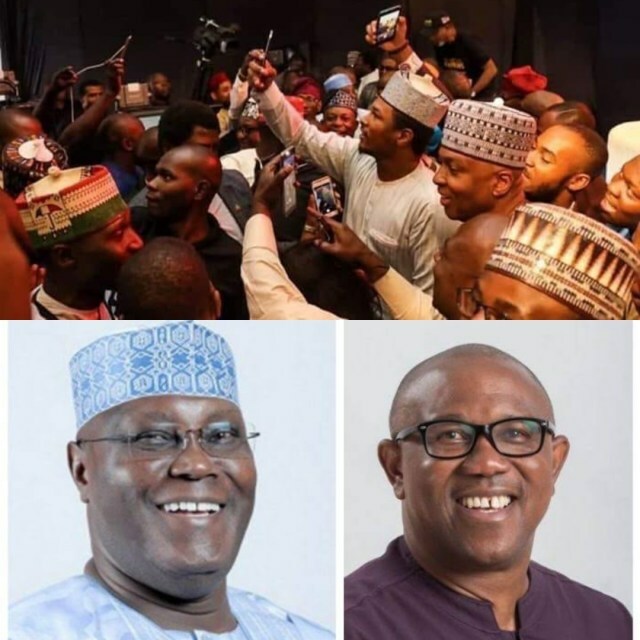 According to reports, he is alleged to have joined because he feels his father is no longer in control of government and that governance has been hijacked by a cabal and wants Nigerians to allow his father to rest. He is not the only one to have made that comment, his mother Aisha started it all when she said things are not working as expected because a cabal has hijacked the government from President Muhammadu Buhari. The development seemed to excited Nigerian youths, who have decided to put in one comment or the other.